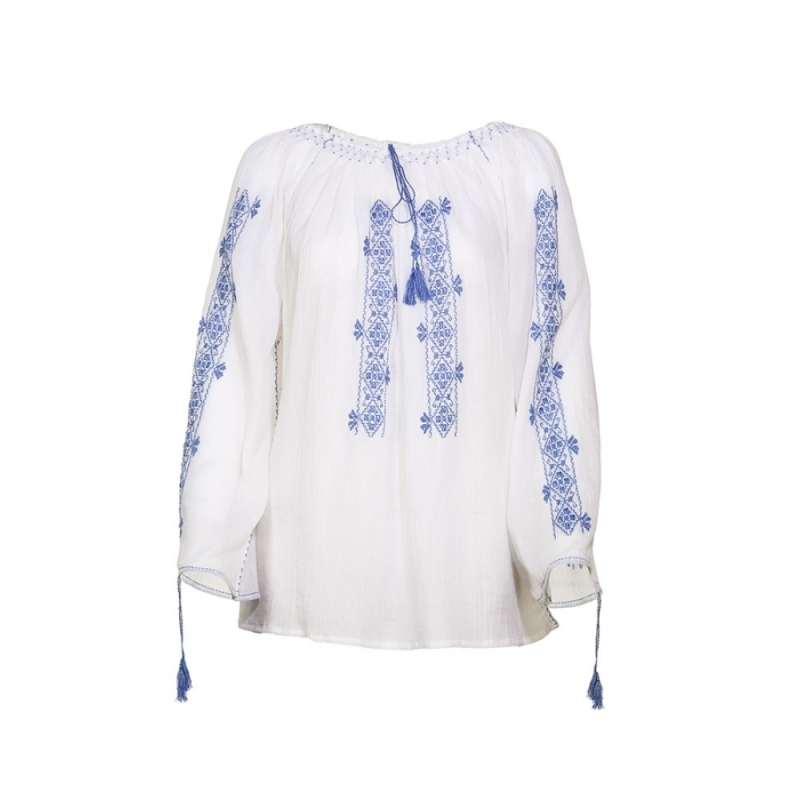 Traditional blouse, long sleeves,cloth loop with blue traditional embroidery. Hand-made in Transylvania. Embroidery designs can identify a region of the country or contain a special meaning - while decorative, they are also symbols of cultural beliefs and heritage. 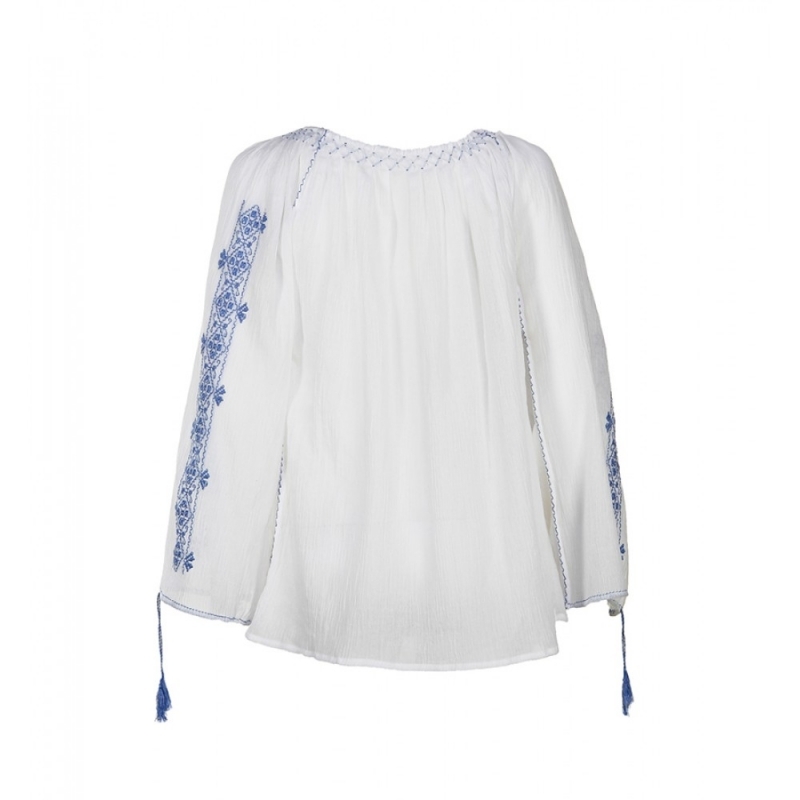 That’s why it takes 15-20 days for us to create them artisans ateliers and 20-30 days for more elaborated pieces, such as handmade embroidery. This is an high quality authentic product with a unique handcrafting tehnique.